Training objective: to prepare interviewers for collection of qualitative and quantitative data within the project. Provide information to interviewers about the purpose and objectives of the Project, as well as the research methodology. Familiarize the interviewers with the Glossary of research and outline their terms of reference. To familiarize the interviewers with the research toolkit. 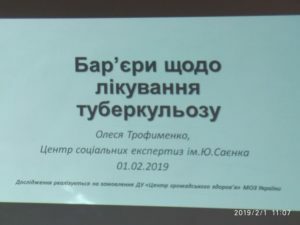 The training was attended by representatives of six regions of Ukraine (Zhytomyr, Odessa, Kharkiv, Lviv, Kyiv, Dnipro) covered by the project. 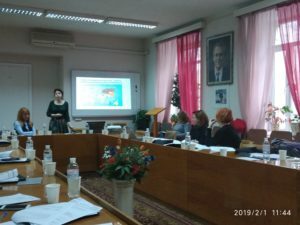 The meeting was attended by representatives of the customer from the “Center for Public Health”, regional interviewers, project manager and employees of ” The Center of Social Expertise named after Yu. Saenko”. The project manager conducted a presentation of the study, and familiarized the participnts with the purpose, task, methodology, presented the toolkit of research and conducted practical work with the tools.